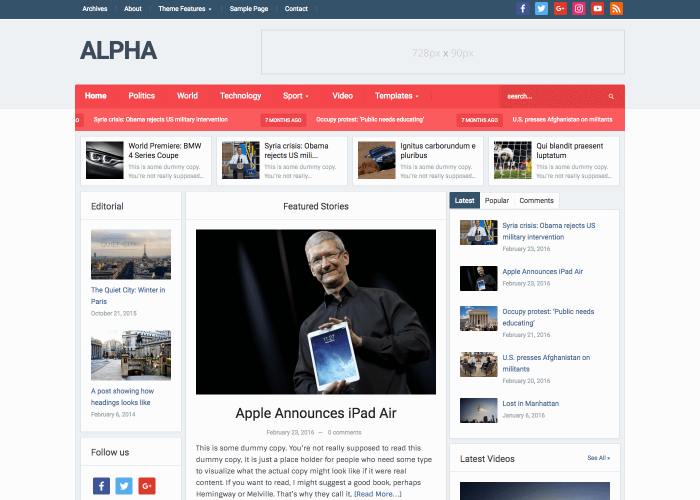 Alpha is an advanced, powerful and responsive magazine theme featuring two skins offering radically different looks: Magazine and Newspaper. 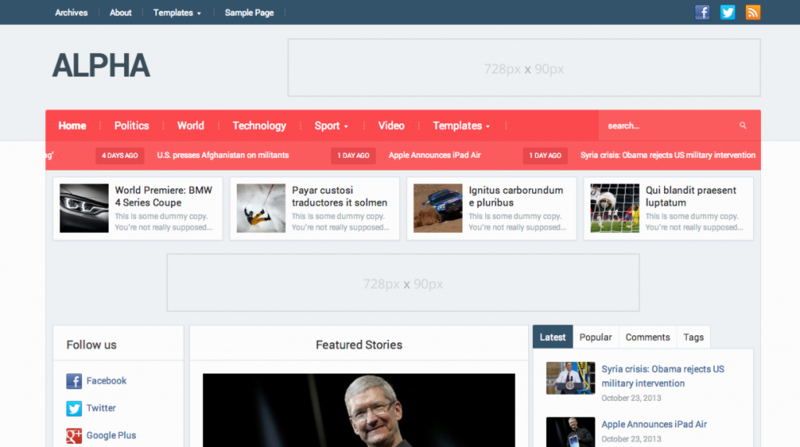 Perfect for news and article heavy sites. 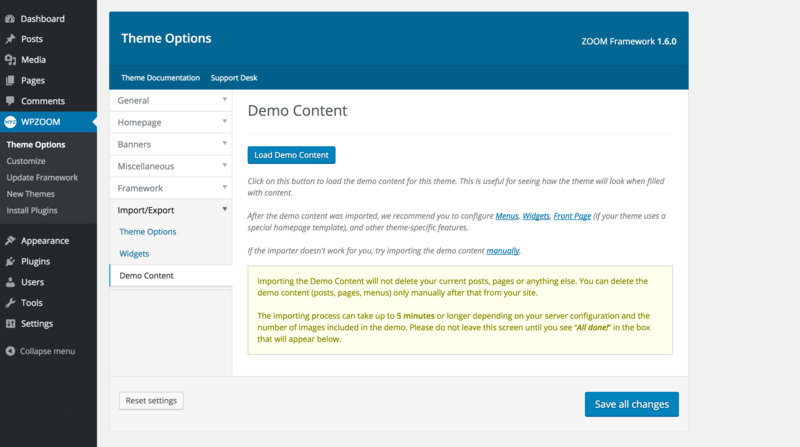 Featured SlideshowShowcase images and videos on the homepage featured slider, which supports any of your posts. Newspaper SkinPick the layout that suits you. 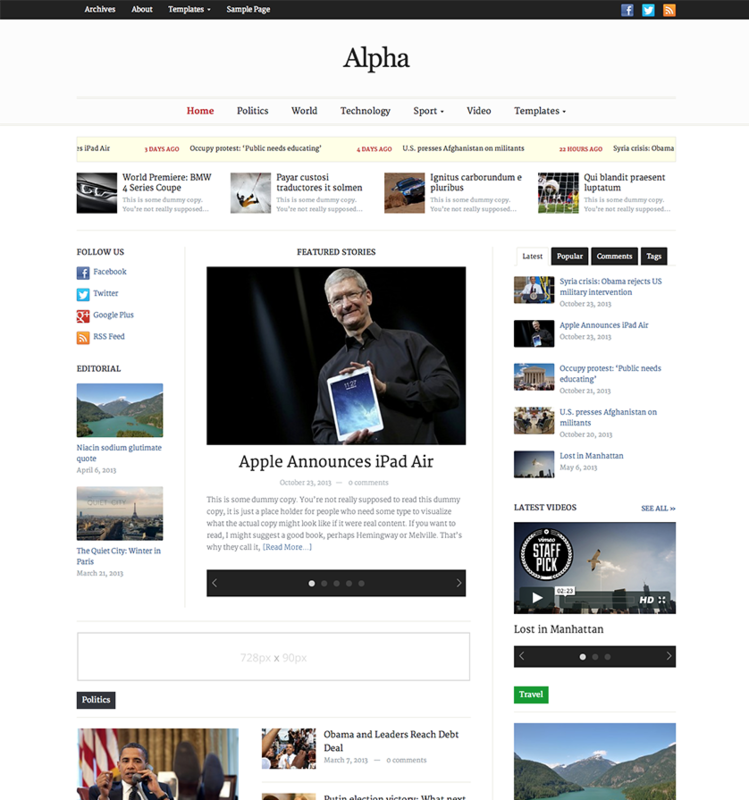 Alpha includes 2 unique styles: Magazine and Newspaper. 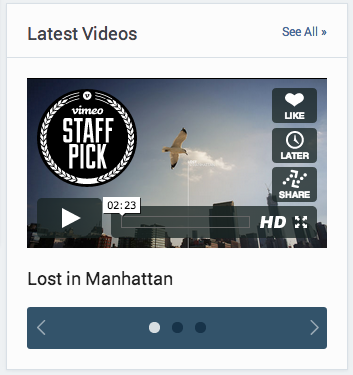 Video WidgetEasily display videos using a widget (in the sidebar or any widgetized area), through usage of Post Formats. 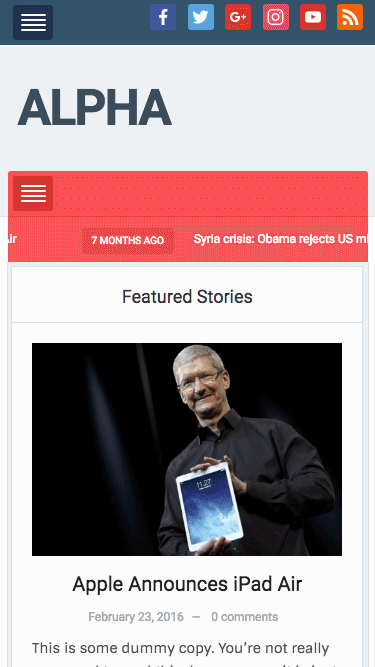 Breaking News TickerA built-in news ticker allows you to quickly create a set of breaking news, which is highlighted at the top of the front page. 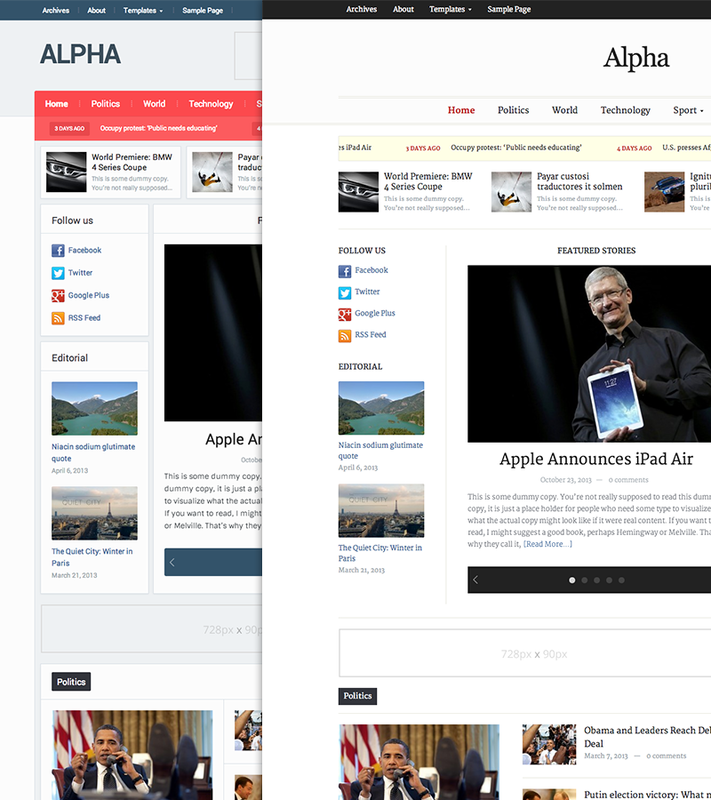 Alpha boasts a fluid, responsive layout, so your articles will display perfectly across mobile and tablet devices. Images and galleries scale seamlessly when resizing the browser window. 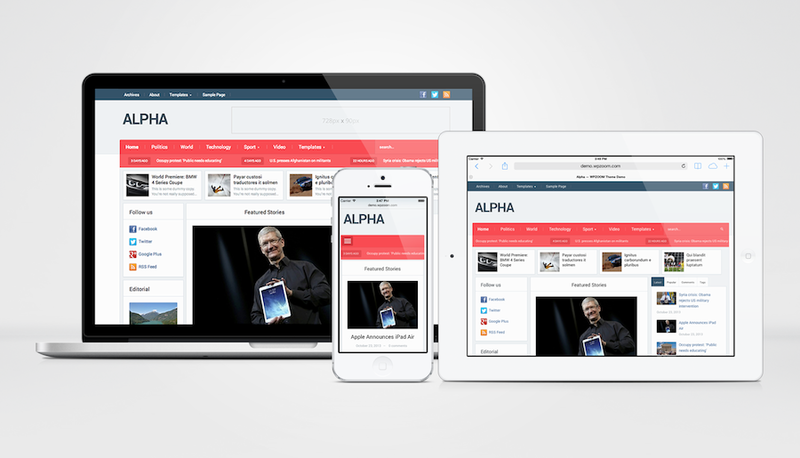 Alpha’s sliders are touch enabled, allowing users on touchscreen devices to flick through content. No matter what the resolution or screen size, every single detail with Alpha will always look perfect. The built-in Newspaper Skin offers you a radically different styling option, whilst maintaining all of the functionality. Switch skins easily in the Theme Options. 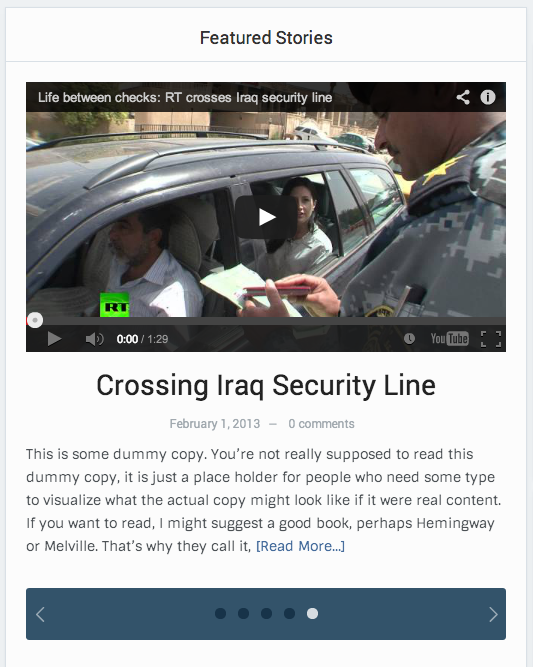 A built-in news ticker allows you to quickly create a set of breaking news, which is highlighted at the top of the front page, just like you’ve seen on popular news sites. 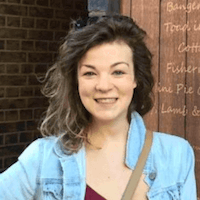 Alpha was designed with adverts in mind. 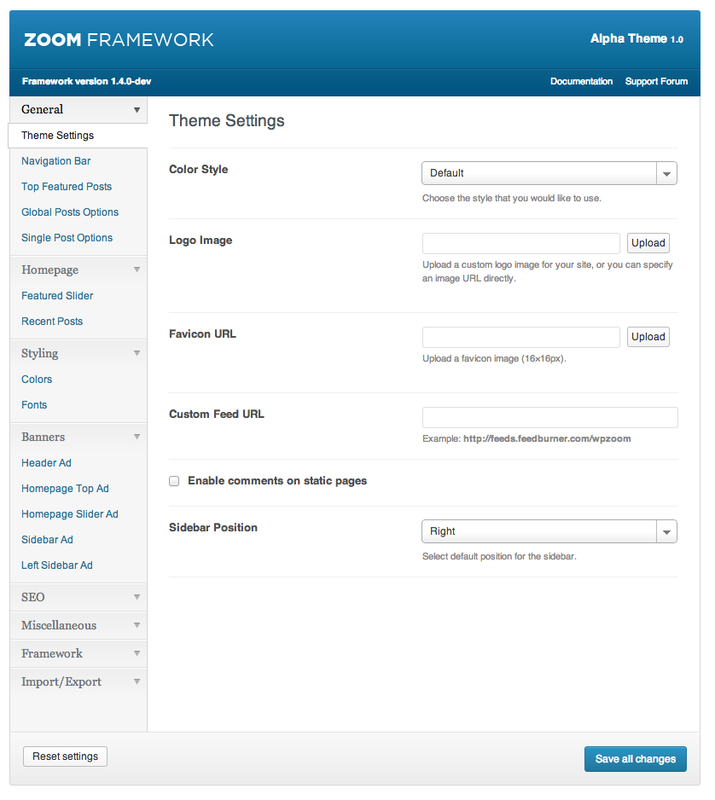 Make use of the five banner spots integrated into the design or add your own using any of the widgetized areas.